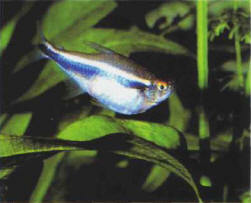 Take care of the fish in a hospital/quarantine aquarium. 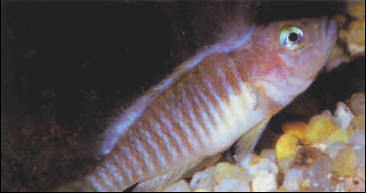 Fish afflicted by white spot disease (ichthyophthyriasis). Easy to detect - the body is covered with white spots - this disease is very contagious. Treatment must be given as soon as the disease appears, i.e. when you see the first symptoms, and you must act quickly. 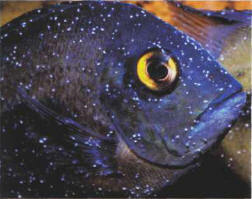 A fish's swollen abdomen is often the sign of dropsy, a bacterial disease. Treating a sick fish in a mixed aquarium is not without its risks: some substances can have undesirable sideeffects on other species or on the plants. It is therefore preferable to use a hospital aquarium, or a quarantine aquarium. ТЬЕПОЛО (Tiepolo) Джованни Баттиста (1696-1770) , итальянский живописец, рисовальщик, гравер. Представитель венецианской школы. Динамичные, свободные по живописи, наполненные светом и воздухом праздничные декоративные росписи (в палаццо Лабиа в Венеции, ок. 1750), религиозные и жанровые картины, портреты, виртуозные рисунки и офорты.